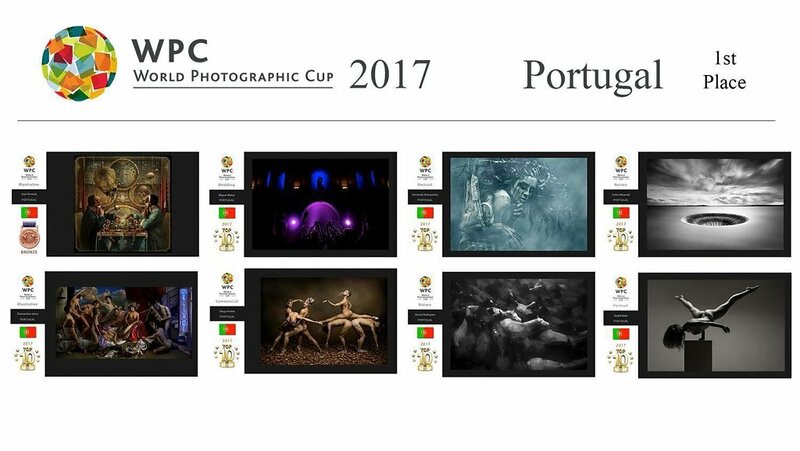 WPC 2017 - Portugal strikes again ! Os fotógrafos Portugueses vencem pelo segundo ano consecutivo o World Photographic Cup conseguindo assim o título de bi-campeões do mundo de fotografia. 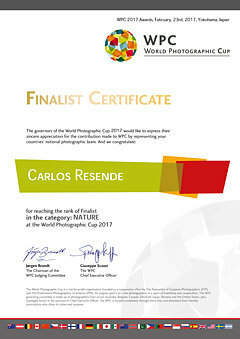 Como membro da equipa Portuguesa na categoria de Natureza, a minha imagem foi uma das 10 finalistas, tendo alcançado a 6ª posição, contribuindo assim de forma significativa para a pontuação final de Portugal. Some people love filters ! Personally, I love neutral density filters and its ability to potentiate greater control and balance over the light, the true essence of photography. Faced with my desire and need to use it with neutral density filters, I looked for a quality solution that could be versatile, easy to handle in the field and adaptable to the remaining line of lenses that I have. The goal was to prevent the use of two different sizes of filters ( 100mm and another) which would require getting two filter systems. After some research, reading some reviews and comparing some results, I found PROGREY USA and decided to risk ordering their 150mm system, together with a few ND filters and accessories. Although the whole process of purchase / delivery took place in a short time, the bureaucracy and the Portuguese Customs retained my order for almost 30 days ! I'd like to give a very special thanks to Progrey USA customer service in the person of Lynn Radeka who was always very helpful and cooperative in sending all the statements requested by the Portuguese Customs during the clearance process. Very good customer support! The order was very well packed and all items showed good quality finishes and details that revealed care in the design and manufacturing processes and, on top of all this, every product was enclosed in individual protective bags. This article will seek to demonstrate the characteristics and the quality of some products designed by PROGREY that give me the freedom and comfort to move forward with my acquisition knowing that with them I would be able to use the same filters, even on standard lenses! With complete impartiality and independence, I will share with you my opinions, some considerations, my user experience and results so that through them you can formulate your own conclusions. The market has been very dynamic, I think sometimes even too dynamic for our pockets! Sized to suit compact system cameras and offering a full range of physically smaller filters to suit lenses with a filter thread size of 82mm and below. The smaller size is perfectly tailored towards the street and travel photographer. Built to work with standard DSLR’s, Medium, and Large Format cameras to meet almost any photographic challenge. These two systems, in particular the 100mm system, are the backbone of all brands. Adapter rings are available to suit lenses with filter threads ranging from 49mm to 82mm with wide-angle adapter rings available to minimize vignetting on lenses with a focal length wider than 16mm. For these systems, some brands like Progrey have screw mount adapters available to allow your investment to be backwards compatible with standard lenses. Summarizing, all of these systems allow you an unparalleled freedom of creativity in adjusting the light levels and/or colour within your images. The Progrey filter holders are made to be easy attached and removed from the adapter rings, holding the filters securely and allowing rotation of the holder so gradient filters can be placed at any angle within your image. You can also use one CPL (on standard lenses) and multiple filters stacked in front of each other at the same time ! This was the first requirement that generated my search and first contact with Progrey products, especially for those of us who love these little glass lens enhancers and considered the purchase of an ultra wide angle lens with a convex front element the choice of the future. Taking this into account, the holder system must be your first priority and decision. Properly packed, simple but well presented, the quality of the Progrey G-150x Holder and its components is perceived right from the time we start unpacking it. Despite being large, the system is elegant and the sleek flat black finish helps to eliminate unwanted flare and reflections. Produced with ultra-hard anodized aerospace aluminum, all Progrey filter holders and adapters are machined to very tight tolerances, very light and meticulously crafted. Unlike other holders, the G-150X is provided with 3 pairs of extra filter clips and an allen wrench for easy exchange. By adding the G-150x adapters to your set, the system becomes even more useful because it can be used with other lenses in addition to the "super wide angles". Very helpful and a "must have" addition. This ingenious “add-on” maximizes your investment and allows you to use the Progrey G-150x Holder and filters on all other 77mm and 82mm thread size lens. On top of that, you can add a 77mm or 82mm CPL which is adjustable from behind via the two sliding windows, even when you have filters in front of it ! It comes in its own padded carry case which makes it look and feel more professional. This left me fully convinced! A compatibility enhancement which I certainly could not live without now. Focusing my analysis to the ND1000x version - 10 stops ( the one that I have ), it is a glass filter which shows great care and high manufacturing quality. As you can see from the images, the corners are rounded and the black foam that prevents and protects from light leaks was cut in a unique way to fit the G-150X filter holder. The Genesis Truecolor filters have an anti-reflection and anti-static coating making them very easy to clean. As a result of all these features and care in manufacturing, the Genesis “Truecolor” ND1000x produces very satisfactory results delivering what we most desire and seek in this range of ND filters... no color shift and natural results. The Progrey Aurora GND sets are available in soft and hard versions, each set consists of one each 0.3, 0.6 and 0.9 density filters. You can also purchase 0.3, 0.6, 0.9 and 1.2 densities with hard or soft transitions individual. Made of CR39 Optical quality resin, a plastic polymer commonly used in the manufacture of eyeglass lenses, they are individually presented and delivered in a quality protective bag with velcro closure. Highlighting other distinguishing characteristics, they all have rounded corners, consistent transitions, anti-reflection and anti-scratch coating. 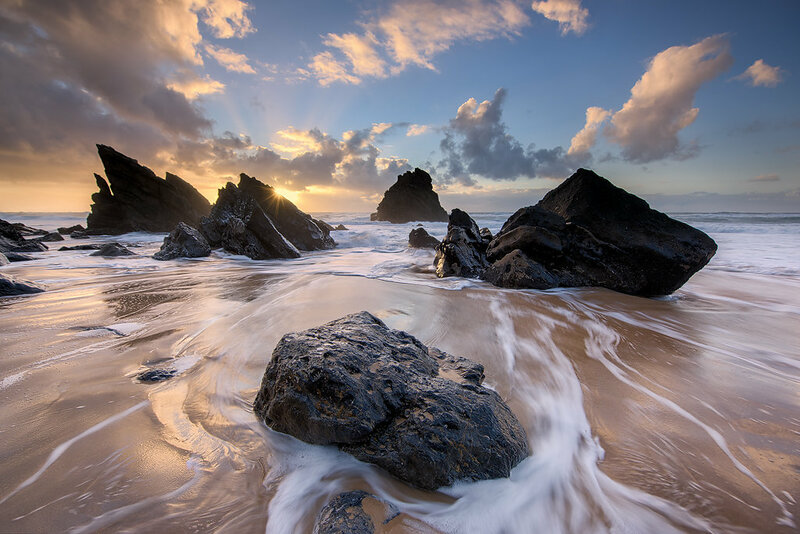 Based on your own criteria and so you can conduct a more depth evaluation, I invite you to view and download the original raw of these 3 samples captured with the use of Progrey ND Filters and G-150x Holder. The samples don't have any kind of post-production corrections or sharpening. All of these results are from direct conversions of the original raw to jpeg. 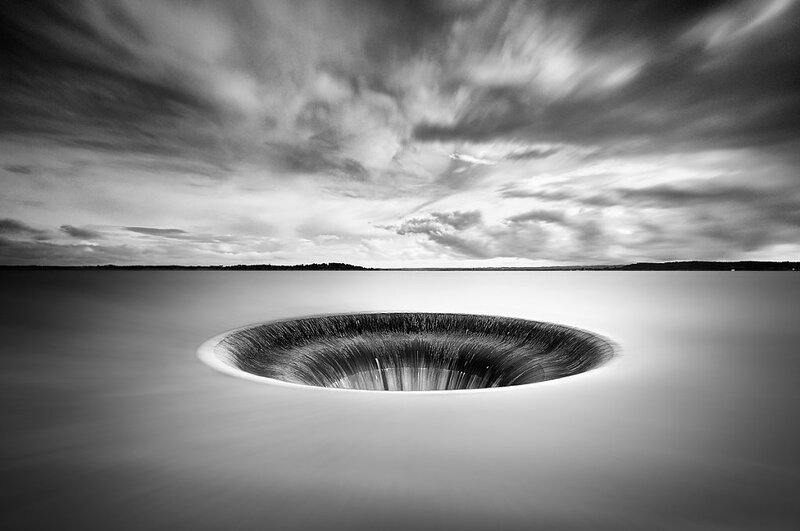 Founded in close relationship with photographers, PROGREY is a committed to supplying fine quality products - a very appreciated offering of the products they develop and put at our disposal. Despite its short existence, the quality and ingenuity of their products gives them a global level of awareness and potential to seek out and make themselves known in new markets such as Europe through new distribution channels. In this product segment, there are many brands that have been focusing on winning the market through aggressive marketing and Sponsorship campaigns. But in the end, I believe that the market evolution/selection will be dictated by quality, trust, difference and innovation by the different players. Regarding Progrey, my opinion is that they are already on a distinguished road producing good products, thinking differently and innovating with quality !